Thought to have originated in Central Asia, shallots are a member of the Allium family that has become the basis of many dishes in Asian and French cuisine. Store in a cool, dry place for best results. If you notice any bulbs starting to soften, use them first. Shallots that have been stored may have a green shoot starting to grow in the middle of the bulb. Make sure to remove the green center, as the sugar content is higher and can become bitter if cooked. 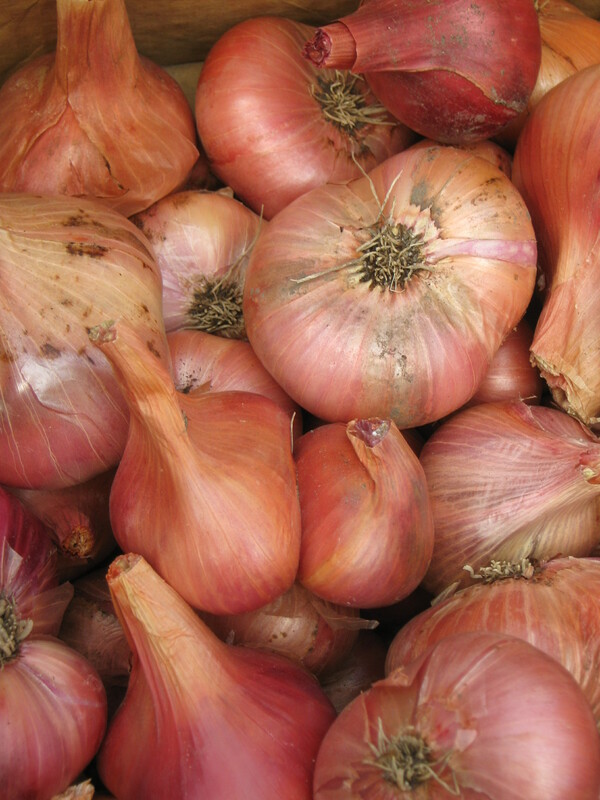 Smaller than onions, their mild flavor makes them perfect for eating raw and adding to vinaigrettes, but shallots are also amazing when cooked, providing the base for many classic French sauces.